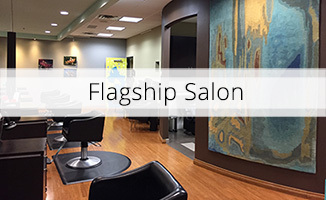 There's no better way to pamper yourself than to head into Flagship Salon and have our eyelash specialists, Abigail and Ashley, give your eyes the accent they deserve. 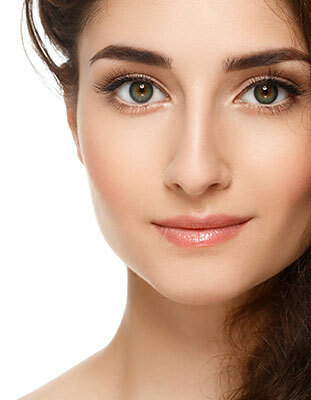 Our technicians are licensed estheticians which is not often the case at other lash operations and as such we are inspected and licensed by the State of Minnesota. Each single lash is attached one at a time for a natural look that is designed to create the best enhancement for your eye-shape. Choose a natural look or go for a full or more dramatic design. This is the perfect fix for those of you who want darker and or thicker lashes without using mascara. They are also great for weddings, prom, athletes, and can even help if you struggle with cosmetic allergies. 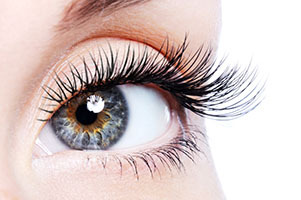 What makes for a excellent result is a lash specialist who is patient and has a great attention to detail and our technicians are the most meticulous applicators in town. We are pricing our lash services at a reasonable price to make wonderful lashes available to everybody. See details of Cancellation Policy here. A 24 hour notice of cancellation or rescheduling is required or a 50% fee will be charged for full price services or 100% of promotional prices. How long is an appointment for a "Full Set" of lashes? About 75 - 135 minutes depending on complexity and individual technician. Each of your natural lashes fall out about 6 weeks after they started growing. That is how your body regulates their length. Since we glue our extensions to your natural lash (not your skin) they fall out together. Everyday 1 or 2 lashes fall out from each eye. How often do I need to reapply new lashes to fill in the lost lashes? They need to be reapplied every 2 to 4 weeks after the first full set. We call these either 2 or 3 week fills. If you get to 4 weeks you will probably need another "Full Set". You can discuss with your technician how often you should come in for fills. Fills are less expensive than full sets. See menu for prices. Fills take from 30 - 60 minutes. Do I need mascara after getting lash extensions? Most people do not but some like to give an extra boost to the lashes. Ask your technician about what mascaras are compatible with your lashes as some will loosen the extensions. How do I pick a length of lash extensions. Your appointment begins with a consultation. You can discuss weather you want a subtle look or a more dramatic application. Also there are ways our technicians mix different lengths to get a beautiful shape and a natural look. Other lash technicians may not do this. For example alternating 2 or more different lash lengths and going gradually longer as they work towards the outer eye to get an advanced natural look and to highlight your eyes. Do I want Classic or Mink lashes? Ask your technician when you come in at the consultation. Most people go for the classic and there are many lengths and widths available for each. The mink is actually a "Faux Mink". They're designed to imitate real mink fur, but lash artists and clients both love this of extension type because the curl is permanent and they're low maintenance. Volumn or Volumn blend is also offered depending on technician. Good lash technicians book up. You may get an appointment soon or maybe in a week or more depending on if you need a specific time of day. Plan ahead especially on the follow up visits for fills. It is best to book your next appointment when you finish the existing appointment. Note: Feel free to bring earphones for your smartphone and your own music or audio books or just relax and enjoy some rest for an hour or 2.